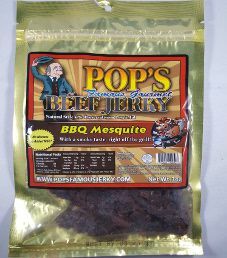 The next review for Pop’s Famous Gourmet Beef Jerky will focus on a 3 ounce/85 gram bag of their BBQ Mesquite flavored beef jerky. This flavor is described as being like its fresh off the grill at a summer barbecue, having a tangy Southwestern zest. The bag was purchased at a ShopRite store in Lyndhurst, New Jersey. 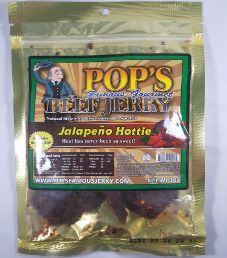 The first review for Pop’s Famous Gourmet Beef Jerky will be on a 3 ounce/85 gram bag of their Jalapeno Hottie flavored beef jerky. 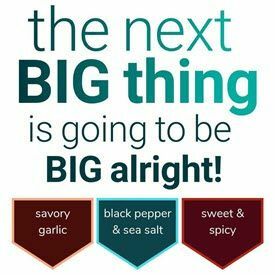 This flavor is described as being hot as molten lava, and made with real jalapeños, cayenne pepper, crushed red pepper and ground black pepper for a well-rounded burn. The bag was purchased at a ShopRite store in Lyndhurst, New Jersey.